Those lovely people over at Nokia have furnished us with a few images of what their dashboard integration will look like, as well as the names of a few more partners for the Terminal Mode initiative. Intended to smarten up your car's hardware with the phone's capabilities -- whether that be to play back music, use Ovi Maps, browse the web, or whatver else -- this was announced in partnership with Alpine yesterday, but today we're hearing that Fiat, Harman Becker and Valmet Automotive are also getting in on the fun. 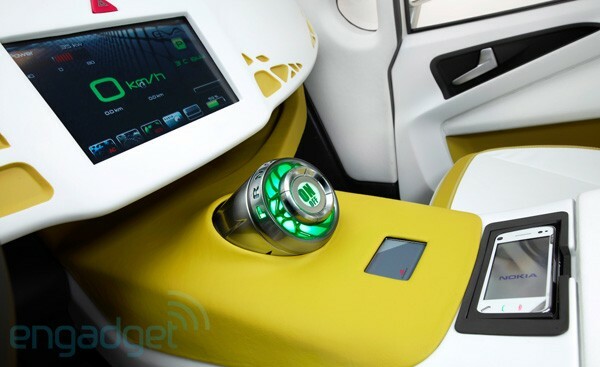 The gallery below shows off a mockup from Valmet, which plops your Nokia into a cradle just under the Eva concept's "on" button, and then transfers all the important stuff onto an LCD integrated into the dashboard above. Nokia tells us that each OEM will have their own particular design, so this might not be how they'll all look, but as far as ease of use goes, we don't know how you can improve much on what's being shown already. Let's just hope the software is as effective as the presentation is handsome. Averatec's just outed its super thin, super light, 10-inch netbook, the N1200. Available in silver or black, it's a good looking little package which weighs in at just 2.2 pounds. 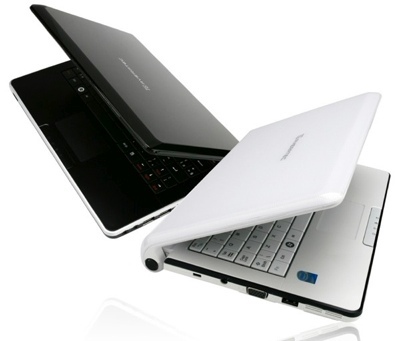 It boasts an Atom N450 CPU, a 160GB hard drive, 1GB of RAM which is expandable up to 2GB, plus a webcam and 802.11n Wi-Fi. You can get this bad little dude with either XP or Windows 7 Starter. The battery life is apparently about 3 hours, though you can upgrade to a better, 6 hour battery. The N1200 starts at $330. The full press release is after the break.